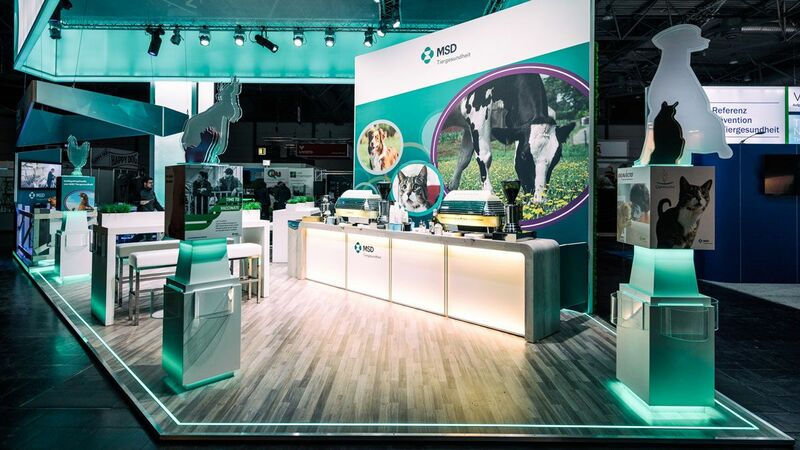 MSD Animal Health stands for research, development, production and distribution of innovative and high quality animal health products. At four locations, Munich, Unterschleißheim, Cologne and Schwabenheim over 600 employees work at MSD. 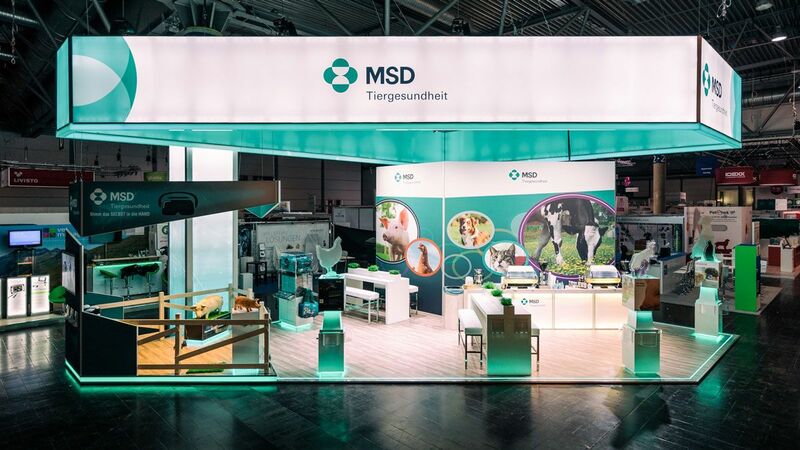 At the TÄK 2018 in Leipzig, MSD introduced new products on the market. 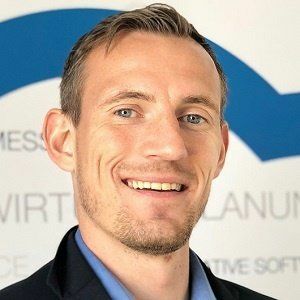 The aim of the trade show was the new customer acquisition and a stronger attention in the existing market. 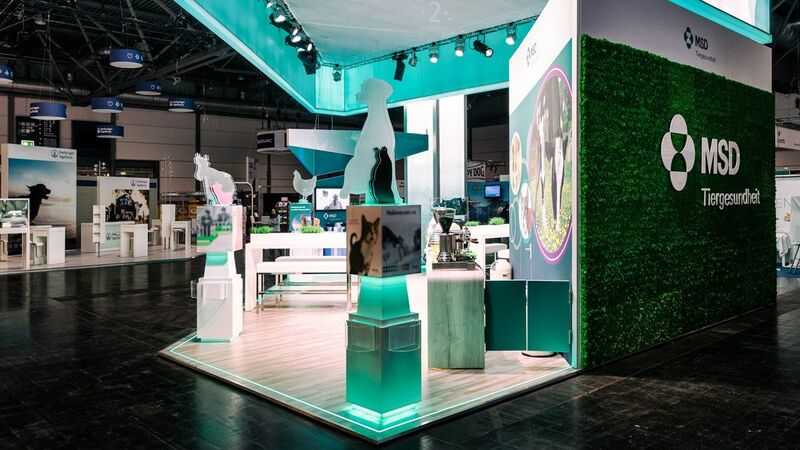 The extraordinary exhibition stand concept with turquoise LED spots, also in the illuminated suspension and the "self-vaccination station" attracted attention to the visitors. In addition to the optical concept, the MSD exhibition stand was also experienced by trade show visitors. 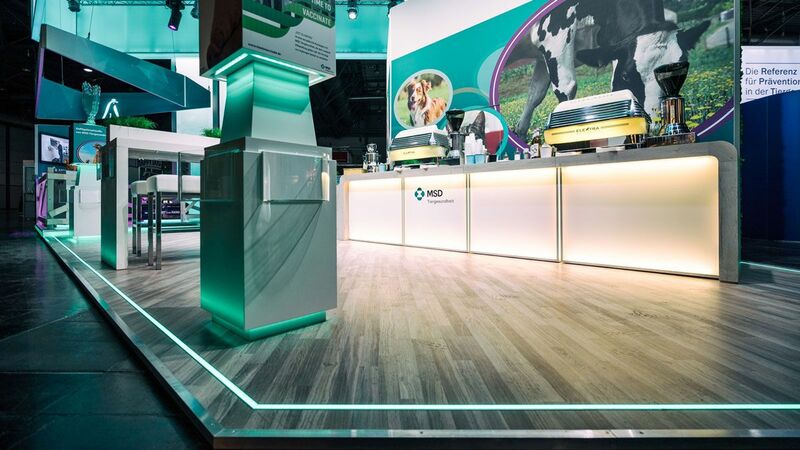 An LED show provided the right and always changing look of the exhibition stand. Visitors of the trade show could also feel a moss wall and vaccinate artificial pigs themselves. The achievement of the various sense organs of the target group thus made a lasting impression and attraced the desired greater attention.